If Rasheda Kamaria Williams let the odds dictate the outcome of her life, you wouldn’t be reading this biography. Growing up on Detroit’s eastside, she was surrounded by crime and drug abuse. She watched her father battle addiction and mother struggle to make ends meet. All the while, she was being ruthlessly bullied at school. When classmates called her “different” and “weird,” she could have let their words defeat her. Instead, she embraced her uniqueness and leveraged it to become the powerful woman she is today. 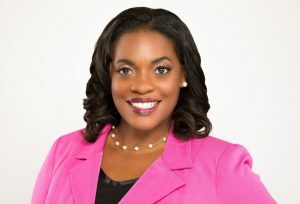 Now an award-winning mentor, author and founder of Empowered Flower Girl – a social enterprise on a mission to transform the way young people relate to one another – Rasheda uses the challenges she faced as a teen as the springboard for her lifelong commitment to help young people cultivate their own personal power. In October 2016, Rasheda released “Be EmPOWERed: How to Live Above & Beyond Life’s Drama.” Written for and inspired by girls, “Be EmPOWERed” reveals Rasheda’s personal journey from excluded to empowered, and how she got there with help from trusted adults, mentors, friends and ultimately herself. Rasheda is a graduate of Detroit’s Cass Technical High School and holds a B.A. in journalism from Wayne State University’s Journalism Institute for Media Diversity. She also has extensive training in youth development, community relations and interpersonal communication. For more than a decade, Rasheda has been committed to making a difference in the lives of women and children in communities throughout southeast Michigan as a mentor, speaker and workshop facilitator. Book Rasheda to speak at your next event. From assemblies and keynote addresses to workshops and afterschool programs, Rasheda has partnered with school districts, community organizations, associations and faith-based groups to deliver inspiring content to youth and adult audiences.